Demystify. In an earlier post, Ingo blogged about the exciting new Genetic Literacy series that should appear in Epilepsia later in 2014. When we first had the idea at the International Epilepsy Congress in Montreal, we conceived of the Genetic Literacy series as a practical learning resource for practising clinicians and healthcare professionals. We really want to use this opportunity to demystify epilepsy genetics and make this information accessible and useful to readers. So far so good! Now while it is relatively straightforward to write an article about a topic in epilepsy genetics, writing in such a way that makes the paper relevant, accessible and easily understood is less straightforward. To make matters more complicated, even if the paper is written in a clear, understandable manner, the new information we learn may disappear within weeks, as retention after reading is poor. Cramming. This is a perennial problem in medical education. As students, how many of us have crammed our heads full of facts days before major examinations, only to forget them weeks later? Even techniques such as highlighting key concepts or sentences have been shown to be minimally effective at best – a piece of evidence that will undoubtedly leave both highlighter manufacturers and students equally dismayed. Our inefficient minds. Similarly, acquiring, retaining and applying new knowledge is a vexing problem in our clinical practice and continuing education. I may see a patient with epileptic encephalopathy, read up about the genes involved and how to test for them, and evaluate the patient correctly. Six months later, confronted with another patient with the same disease, I would probably struggle to remember the genes and the diagnostic approach and I’d be forced to learn the same information again. How inefficient our minds are! The remedy. Fortunately, advances in cognitive psychology and medical education in the past decade have come to our rescue. There is now evidence that there are concrete methods and techniques that help us better retain and apply new knowledge. Elephants (apparently) never forget. What if we could improve your learning, so that you would develop an elephantine ability to remember everything about epilepsy genetics? 1. Relevance – healthcare professionals learn better when the new knowledge they acquire is directly applicable to real life practice and clinical challenges. This is in keeping with the principle of adult learning theory, or andragogy. In order to ensure that the topics in the Genetic Literacy series were relevant to real life practice, the ILAE Genetics Commission came to a consensus as to which topics to include. Topics that were felt to be research-oriented, or which had little or no bearing to clinical practice were removed. We only included topics we felt would be directly relevant, and which would help clinicians solve problems on the ground. 2. Case / clinical scenarios – a dry, fact-based review is unlikely to grab the reader’s attention. People are however drawn to case scenarios or vignettes embedded within the review. This is especially when the vignettes illustrate a clinical problem familiar to the reader, or which the reader has encountered before and which he/she can relate to. These may enhance learning, especially in basic sciences. We will therefore start and end each review with a case, a clinical vignette that can tap on the reader’s experience and activate his/her prior knowledge. By showing how the new knowledge can be applied to the case, we hope that this links new knowledge to prior experiences, and enhance retention and application of knowledge by linking to patients they have already managed. 3. Testing – let’s face it, we all dread examinations. Examinations are a means of assessment, and a necessary ‘evil’ in testing our knowledge or skills to ensure we are able to progress to the next stage of training or practice. But testing knowledge or skills isn’t limited to examinations. And testing is not just used to determine suitability for progression, testing in itself can also promote learning. This is known as the Testing Effect. If you think back on your examination preparation in the past, did you just study very hard and hope you’d pass? Or did you study, and then do mock examination questions as a form of additional preparation? Almost certainly you picked the second option. In doing so, you were unknowingly exploiting the Testing Effect! By testing yourself, you helped your brain retain the knowledge better. In fact, a landmark paper in Science showed that repeated testing was superior to repeated studying. We therefore plan to end each review with a short online test of 2-3 Multiple Choice Questions (MCQs), meant to nudge you into remembering what you learned and applying it to new clinical scenarios. After each MCQ, you are told if your answer is correct, and an explanation is provided as feedback. The MCQs therefore provide Test-Enhanced Learning, which combines the Testing Effect with immediate feedback. And we know that feedback is highly effective in education! You can try a mock online MCQ test on epilepsy genetics if you’d like – just 2 questions, nothing fancy but it serves as a preview of what’s coming up. We hope that the online MCQs will help you learn efficiently. Examples in the literature. Some of these methods are already being used in other educational series, like the BMJ’s “10 Minute Consultation” series, and JAMA’s “The Rational Clinical Examination” series. In fact we drew inspiration from these two series in crafting the Genetic Literacy series, as they are founded on sound educational principles. No more than 2000. We also recognize that time is precious for busy clinicians and healthcare professionals, so we have deliberately kept each article to a maximum of 2000 words. We have also encouraged authors to prepare a ‘pull-out’ box of key points for the reader to refresh his/her memory. Mid-terms coming up. Also, we’ll be doing a ‘mid-term’ evaluation of the series by asking for feedback from readers. We plan to fine-tune the series for the second half according to user feedback and suggestions. Again, everyone needs feedback, including us! Finally feedback can also be provided at the start, so if you have any ideas, please email me: nigel.tan (at) alumni.nus.edu.sg. We are really excited about this new series, and we hope you’ll find it engaging and useful. Thank you! 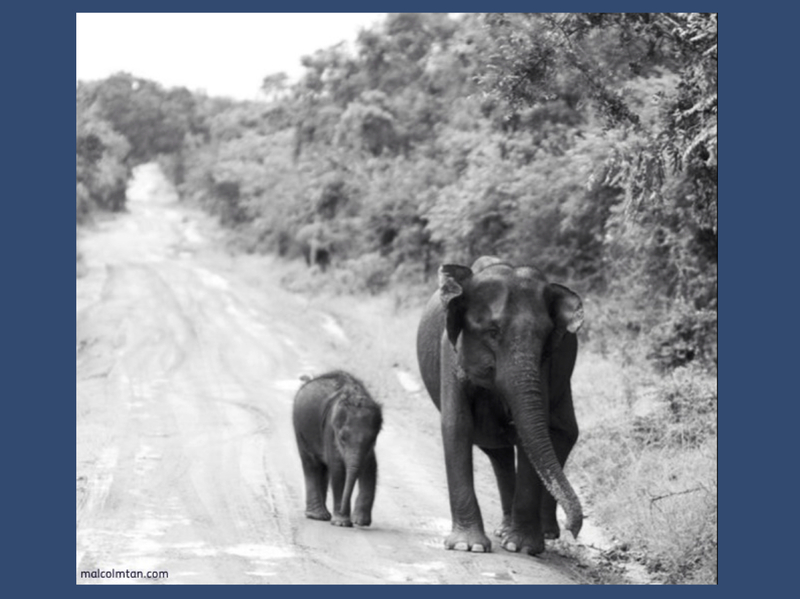 This entry was posted in 2014, Ideas, ILAE Genetics Commission and tagged elephants, healthcare professionals, ILAE Genetics Commission, Learning techniques, Literacy series, multiple choice questions by Nigel Tan. Bookmark the permalink. Epilepsy neurologist at the National Neuroscience Institute, Singapore. I have an interest in clinical epileptology, epilepsy genetics and medical education.